In the middle of nowhere, or at least it seems, you will find an unexpected gem – a desert museum operated by people who enjoy being away from the crowds. 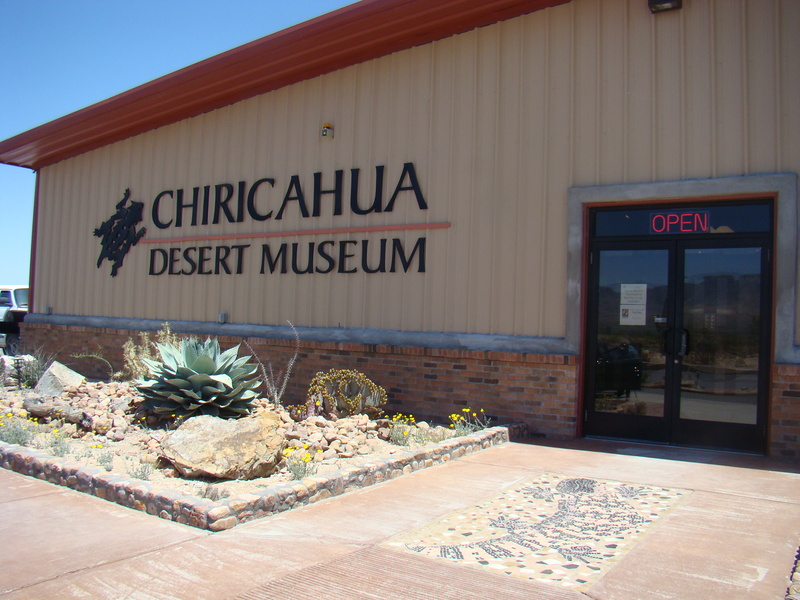 Here in the small town of Rodeo, New Mexico, The Chiricahua Desert Museum found a home. The idea began as recently as 2006 and opened for visitors in 2009 when my first visit occurred. 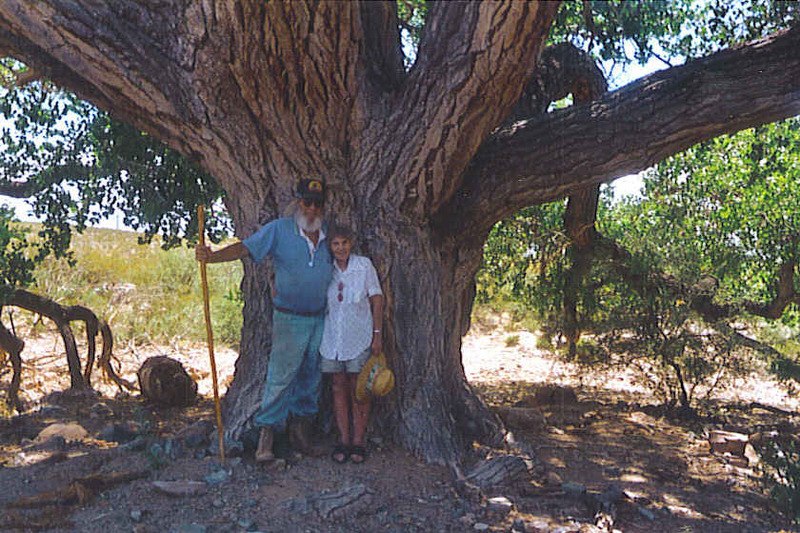 The Chiricahua Desert Museum has made major improvements since that time and during this recent visit has added many educational programs as well. The museum sits in the middle of the desert between the Chiricahua Mountains and the Peloncilos. 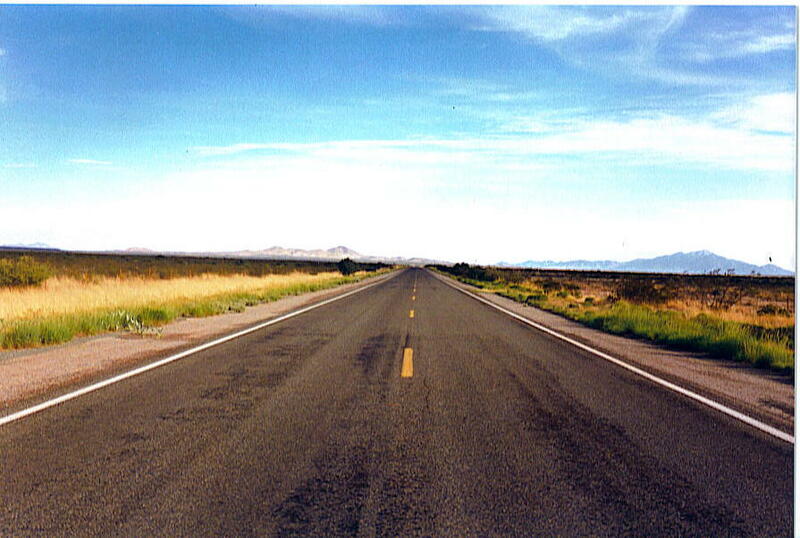 Here in the southwestern corner of New Mexico, the border of Arizona is only across the road. 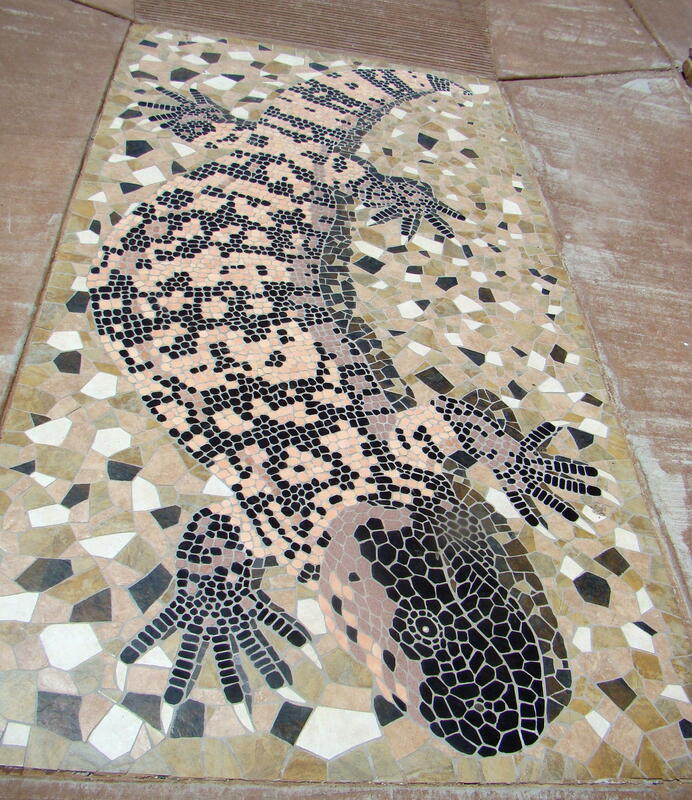 Desert plants, rocks and sand create a beautiful entrance way to the museum as you walk over a large tile design of a gila monster, a heavy, slow-moving, venomous lizard. Mountains make a beautiful backdrop, especially as you enter the Botanical Garden. This corner of their large Botanical Garden is a place to relax and learn about the plants of the desert. Besides the plants, there are beautiful statues as well as a small pond. Here you might see a box turtle or lizard… if it isn’t too hot. The museum itself contains many items found in the desert and beyond. There is a large collection of arrowheads and pieces of pottery found in the area. If enough pieces were found, they have been reassembled into beautiful vases and bowls. A collection of liquor bottles all contained the names of reptiles, such as: Blue Tongue Premium Lager, Granny’s Turtle Juice, Python Ale, or Mojave Red Premium Lager. 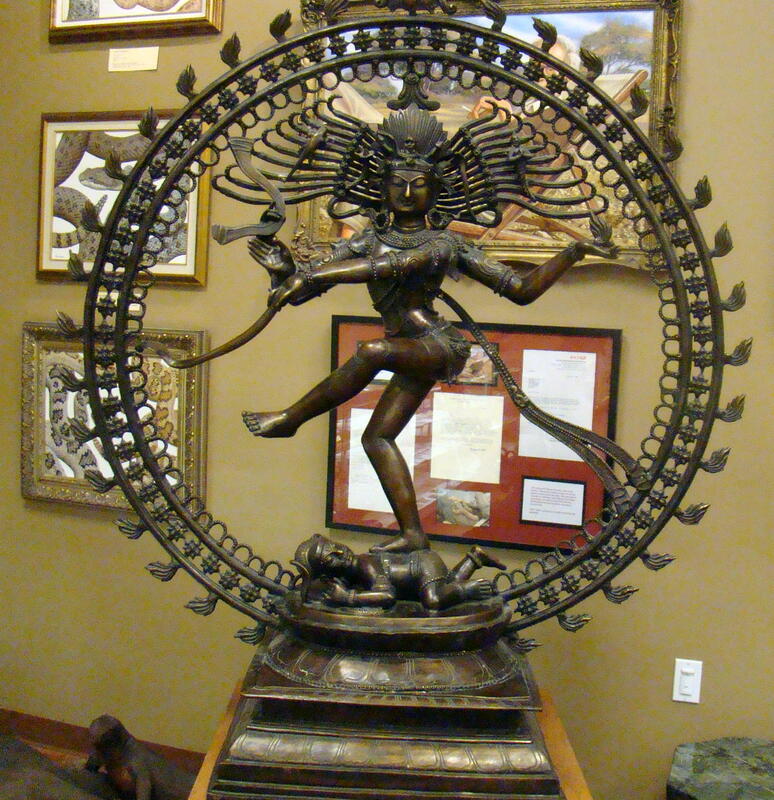 A large bronze statue, Dancing on a Dwarf, was a centerpiece of the main museum. Wildlife artist, Tell Hicks, displays many of his paintings at the museum and his prints are favorites of those who visit. Often Tell sets up his easel at the museum so visitors can watch him create another amazing desert scene. An interesting new addition is the state-of-the-art Reptile Exhibit. Here you will find over 60 rare species enclosed in glass cases, but well and alive! Rattlesnakes and rock lizards are popular features as well as rat snakes and mud turtles. Personally, it was a relief that they were enclosed in glass! Before leaving, check out the excellent gift shop with an outstanding selection of books and upscale souvenirs. 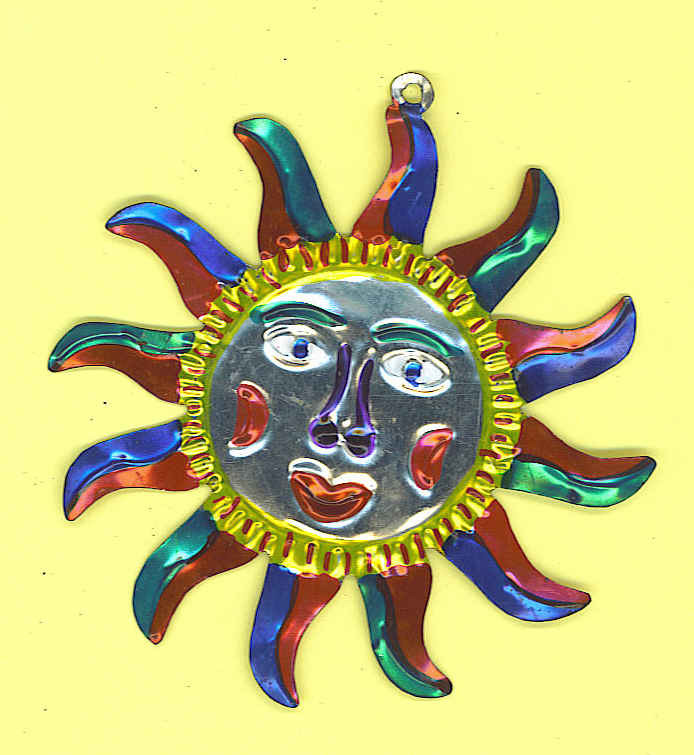 Beautiful turquoise and Indian style jewelry is on display and for sale at fairly reasonable prices. You can also find many good books and great artwork. This is not your ordinary gift shop, but quite superior with unusual treasures to view or purchase. Afterwards, lunch at the Rodeo Cafe was a real treat before heading to the Chiricahua Mountains through the small town of Portal, where neo-tropical birds hang out – a bird watcher’s paradise. The dirt road into the Chiricahuas and the Coronado National Monument was a spectacular, yet slow, two hour drive. 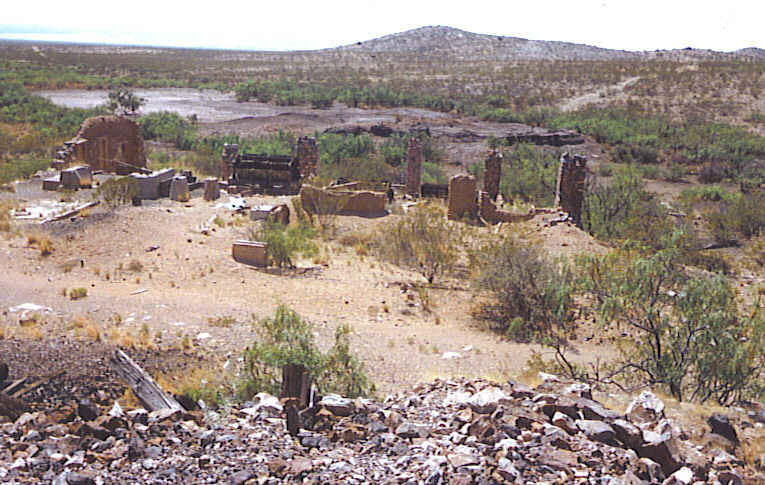 Billy the Kid was said to have a ranch here during his outlaw days. What a great place to hide a herd of rustled cattle! 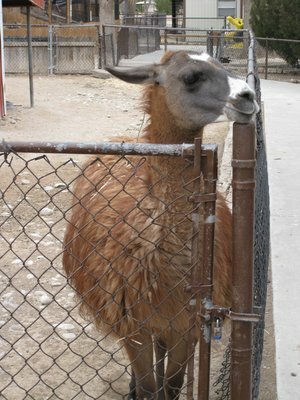 The Chiricahua Desert Museum is located in Rodeo, New Mexico in the Southwest corner of the state very near the border of Arizona. From I-10, take Exit 5 South on NM 80. After about 30 miles of beautiful desert scenery, you will arrive in Rodeo. The Chiricahua Desert Museum sits on the left side of the road just a couple miles east of Portal, Arizona. Variety is the spice of life…and of museums. No matter what your interests, chances are you can find something to arouse your curiosity at the Deming Luna Mimbres Museum in Deming, New Mexico. Everything there is from the private collection of local residents, or former locals. 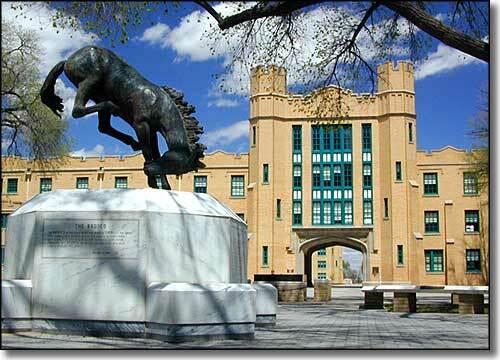 Housed in an old National Guard Armory, their unusual exhibits range from Mimbres pottery to Geodes and Gems to a Military Room. There is something that everyone can enjoy. 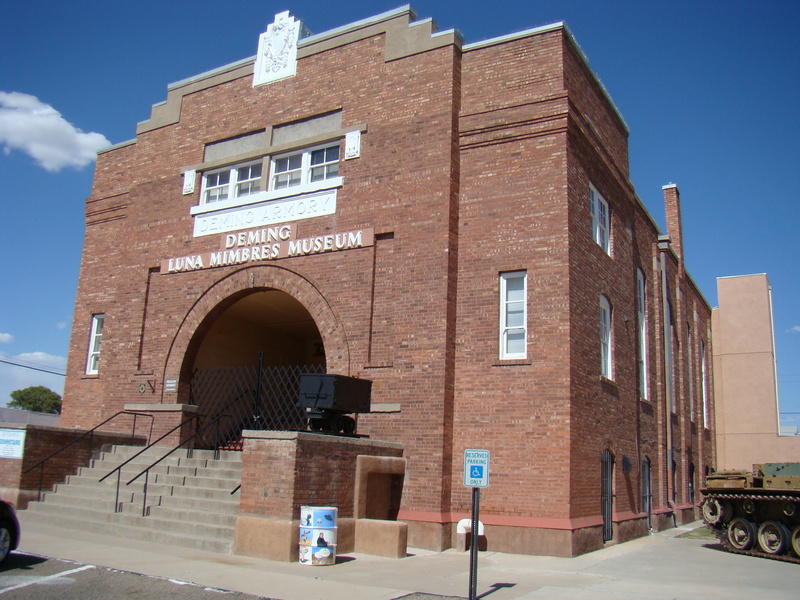 Visiting the Deming Luna Mimbres Museum is a great chance to explore the history of Deming as well as the Mimbres heritage. Since there is such a large variety of rooms to explore, only a few favorites will be visited here. This is one of those places where you could go back again and again to absorb the history that pours from its treasures. 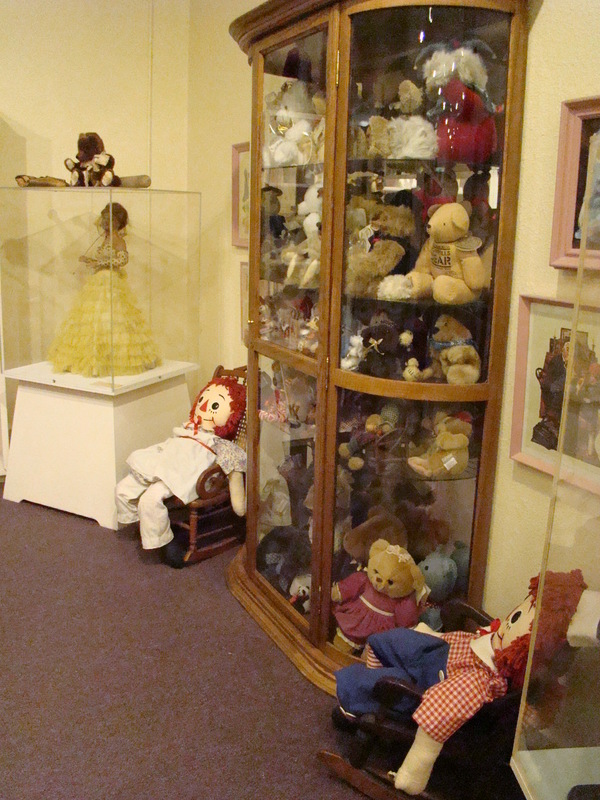 The Doll Room happens to be just inside the front door so is a natural place to begin your visit. This impressive collection contains about 1000 dolls, the oldest of which are those with China heads. Being a bear enthusiast, the teddy bear exhibit caught my eye. There is even a doll brought back by a sailor from the rubble at Hiroshima after the Atom Bomb exploded. But there is much more in this room than just dolls. Here you will find wonderful old books – the oldest I spotted was one by Louisa Mae Alcott, Jo’s Boys, dated 1866. Beautiful doll houses, antique toys and bears are scattered throughout the room. Another spot of high interest is one of the best collections of Mimbres Pottery in existence. The Mimbres Indians lived in this area in approximately 1000 A.D. 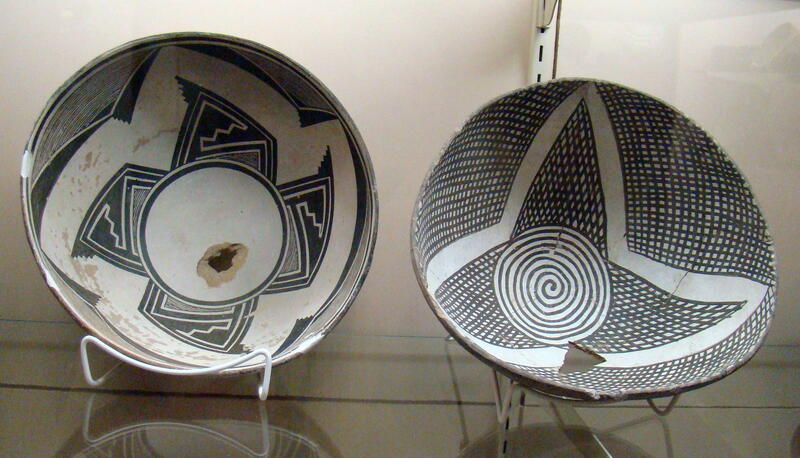 Bits and pieces of pottery found in the area are displayed here with the black and white pieces being a favorite of Mimbres followers. Pictures of their burial method proved interesting as the deceased were placed in the ground, usually under their houses, in an upright sitting position. Then one of their beautiful bowls was placed on their head with a hole in the top so their spirit could go to another world. A square grand piano caught my eye in the solarium of the Art Gallery. 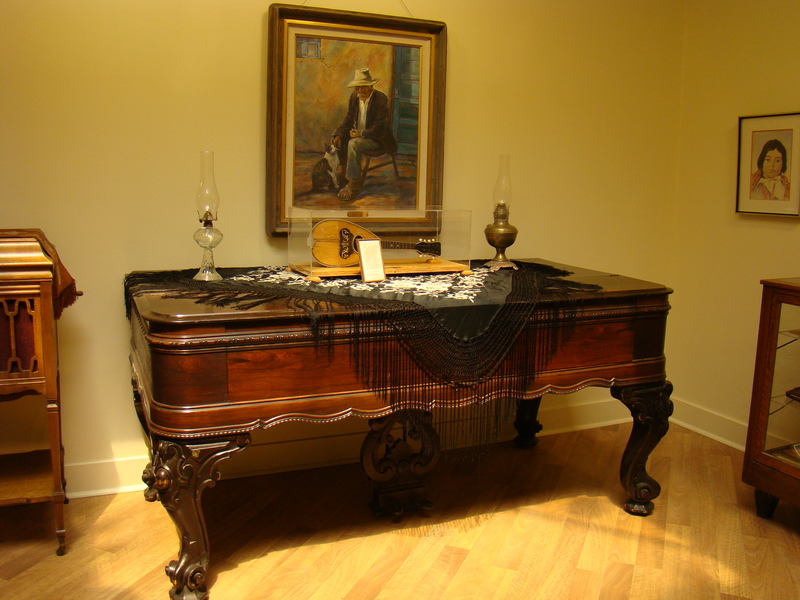 Made of Brazilian rosewood with two strings per key, this 1867 treasure was created by Hallet, David & Co in Boston. Grand pianos were often the centerpiece in Victorian parlors. Perhaps you might enjoy listening to a Brahms Waltz played on a Square Baby Grand. Admission to the museum is free but donations are accepted…after you have seen the exhibits. You can’t get much friendlier than that! Men knew how to die. 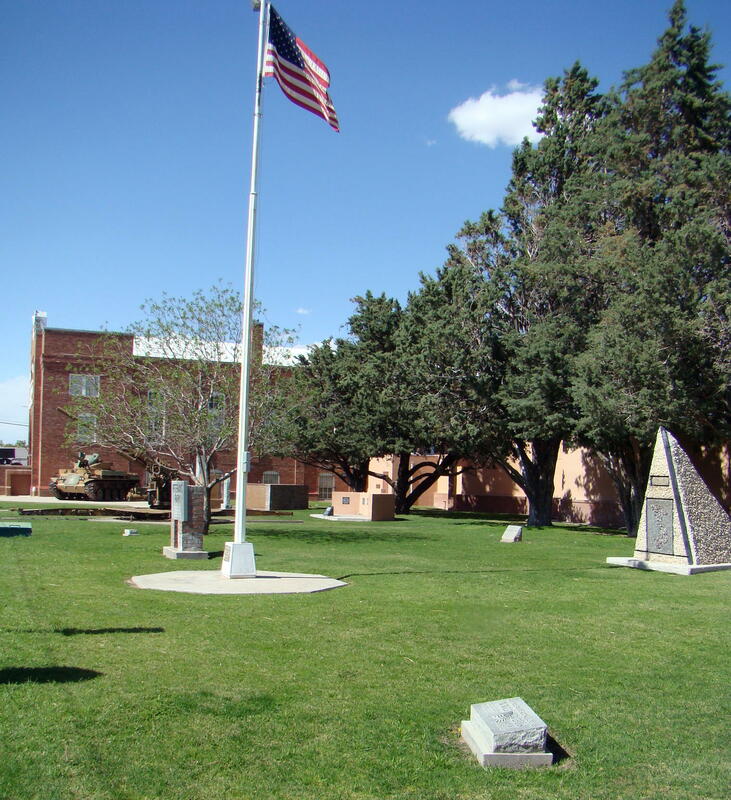 Deming Luna Mimbres Museum and Veterans Park can be found near downtown Deming, New Mexico just off I-10. From the east take Exit 82B and from the west take Exit 82A. This should exit left on Pine Street, which leads right downtown. Turn left again on South Silver Street, which leads to the courthouse. The museum and park are on the left side after two blocks. White Sand as far as the eye can see! Beautiful waves and dunes of sand cover 275 square miles of land near Alamogordo, New Mexico. Approaching from Cloudcroft, a mountain village with an altitude of about 10,000 feet, the view of White Sands in the distance with a mountain background was spectacular. Surrounded by military installations, White Sands National Monument, the largest gypsum sand dune field in the world, was an unusual environment to explore. 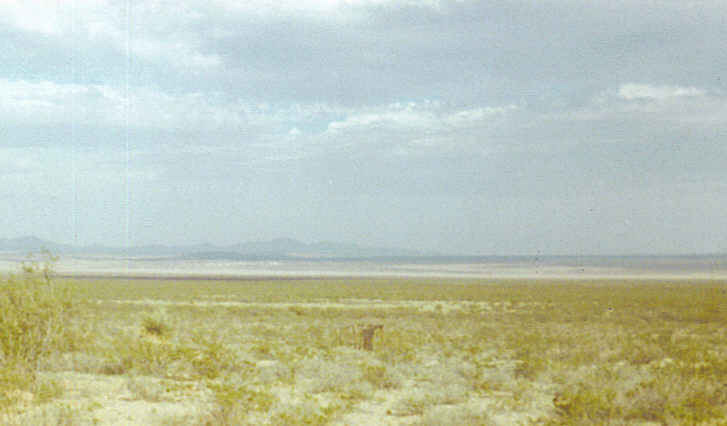 White Sands Missile Range surrounds the place and was where the first atomic bomb was detonated. Holloman Air Force Base was just east of here and a few miles farther on you will find a landing site for space shuttles.A couple times a week, traffic will be stopped for a few hours as test missiles are being shot overhead. 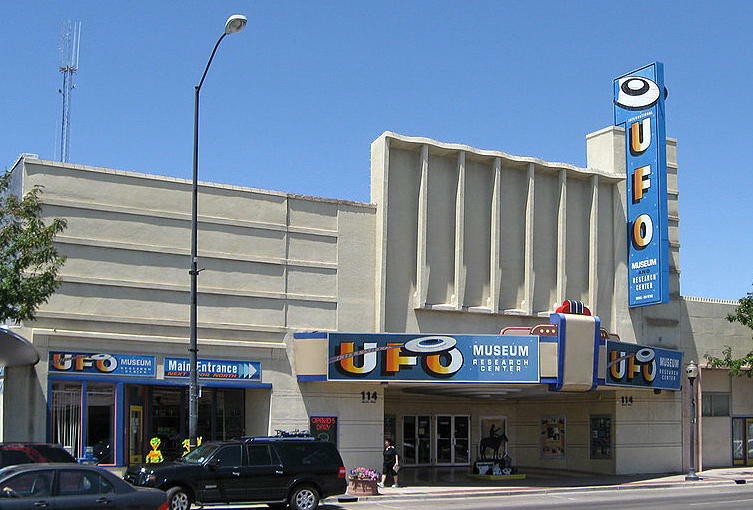 This is truly an interesting place for those interested in space travel, as in nearby Alamogordo you can find the International Space Hall of Fame. Reaching White Sands National Monument, first stop is the Visitors Center, which was a 1938 WPA project constructed of adobe in Spanish pueblo style. Adobe bricks are usually sixteen inches long, ten inches wide, and four inches thick so this is a solid building which has stood the test of time. Two men would work all day to form about a hundred bricks. 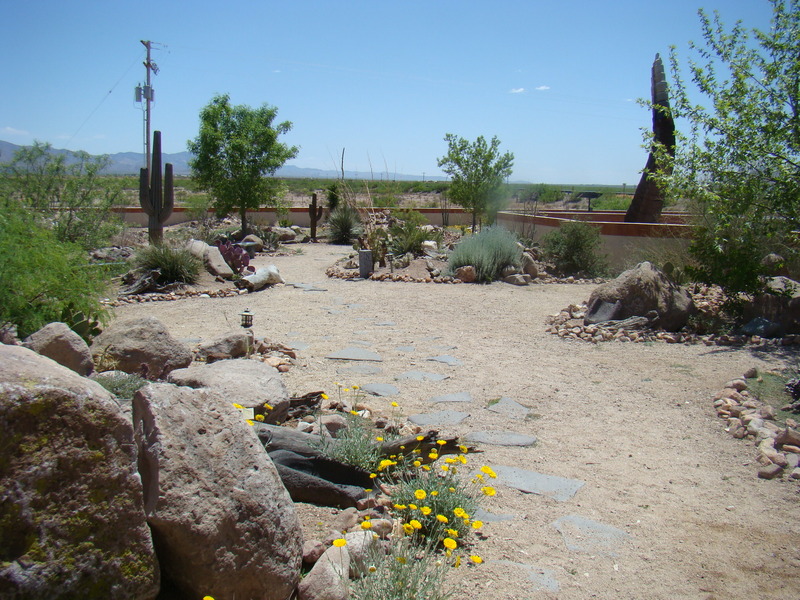 Set in a landscape of native plants, this is truly a Welcome Center to the area. Outside it is time to explore. 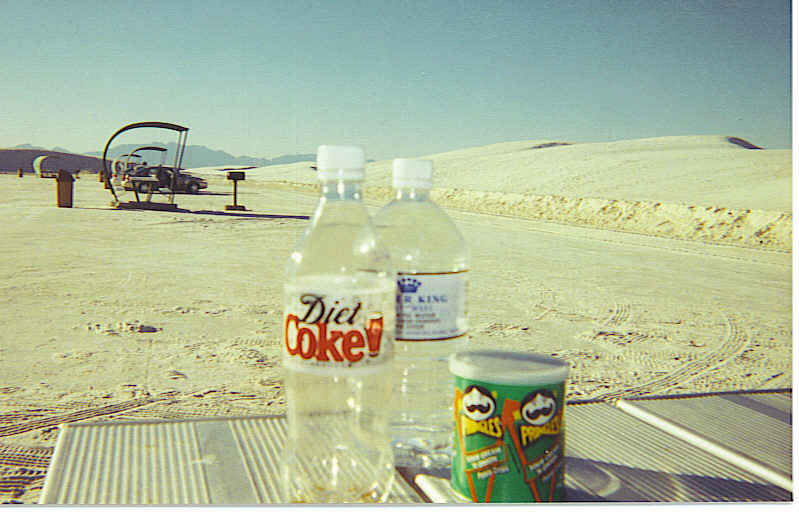 Don’t forget your water bottle because if the sun shines, this can be a very hot desert scene. This is an especially unusual scene as gypsum is seldom found in the form of sand. But located here in a basin, the white gypsum is captured, because there is no outlet to the sea. The dunes are constantly changing shapes as tiny grains of sand are blown into ripples across the vast white desert. This area, with shelters inspired by Frank Lloyd Wright, makes a great place for a rest, or to watch the antics of others on the dunes. You will probably want to take a leisurely drive through the White Sands area, just to get the feel of things. There was a paved road for a couple of miles, and then you were on your own, to decide if you wanted to venture off driving on the gypsum highway through the hills of sand. There were also a couple of walking trails – one mile-long path through the sand and another an actual boardwalk. Climbing to the top of one of these large dunes is a challenge and fun. But this is one place where coming down is the hard part! Children have the right idea here as they use saucers or cardboard and slide down the dunes, resembling what a youngster would do with a sled in the snow. Animals lived in this ocean of white sand in an evolved state as they became part of their environment and were thus camouflaged against the white desert scene. Salamanders, spiders and the Bleached Earless Lizard were white…just like the sand. Drive, hike, walk the boardwalk, or go sledding! So many options! But definitely an unusual place to enjoy the beauty that nature provides, including beautiful sunsets. 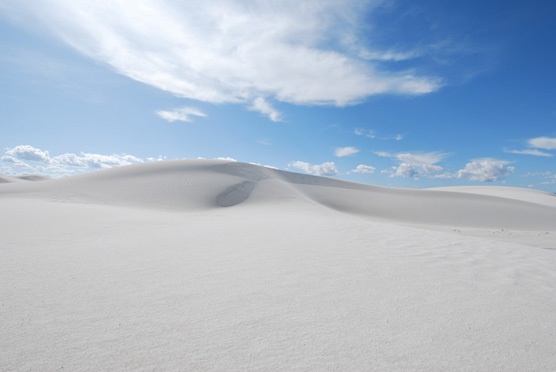 White Sands National Monument is in southern New Mexico along U.S. Highway 70, which can be reached off I-25 from Las Cruces or off U.S. Highway 54 from Alamogordo. Personally think the approach over the Sacramento Mountains on U.S. Highway 82 gives a great overview. Remember the roads may be closed at times for missile testing with a possible wait of several hours. Just by accident, travelers might find the little town of Hachita, New Mexico. 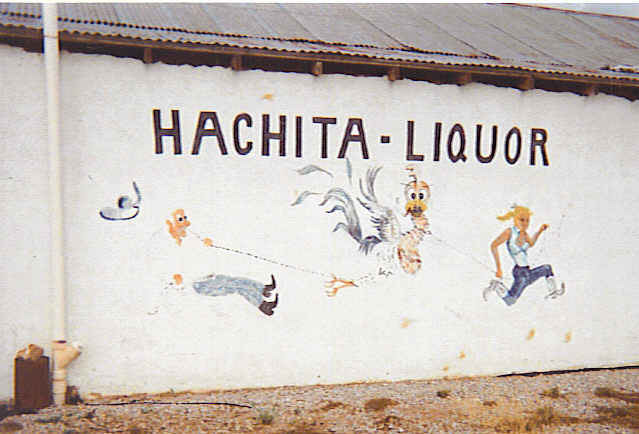 As you travel through the Southern part of the state, Hachita is a small town not far from the Mexican border and located in the Little Hatchet Mountains. This is one of the few towns I have visited where all of the streets are still unpaved. 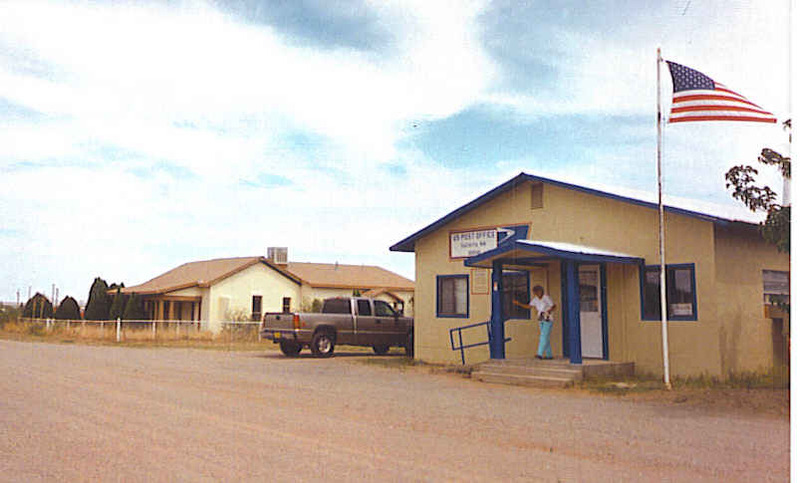 During my first visit to Hachita, the town consisted of a bar, store, and post office along with about a hundred people in residence. The post office is located in the center of town and you can see the dirt road to its front door step, but the American flag is always flying. Another interesting event in years past was the Chicken Roping. This town was filled with cowboys and Cattle Roping was a year long event there. One year, the owner of the local bar thought that chicken roping would be an added attraction. This was a real event and was depicted on the side of the bar by a traveling artist. This was once a mining area so at one time was a booming and prosperous community. But that was Old Hachita, which is located down the road just a couple of miles and set back off today’s main road. You have to have a local guide that knows the area to lead you to the remains of the Old Hachita town. The local guide also took us back in the desert region very close to the Mexican border. We actually had a picnic of ham sandwiches and potato salad with refreshing cold drinks under a giant sycamore tree located near a rare spring. 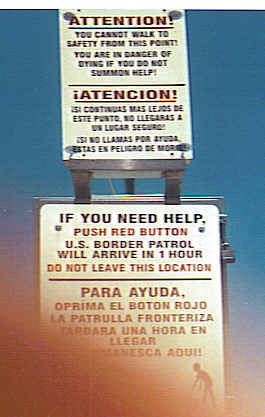 As we headed back towards Hachita, we came across a sign posted by the Border Patrol which said: Attention! You are in danger of dying if you do not summon help. 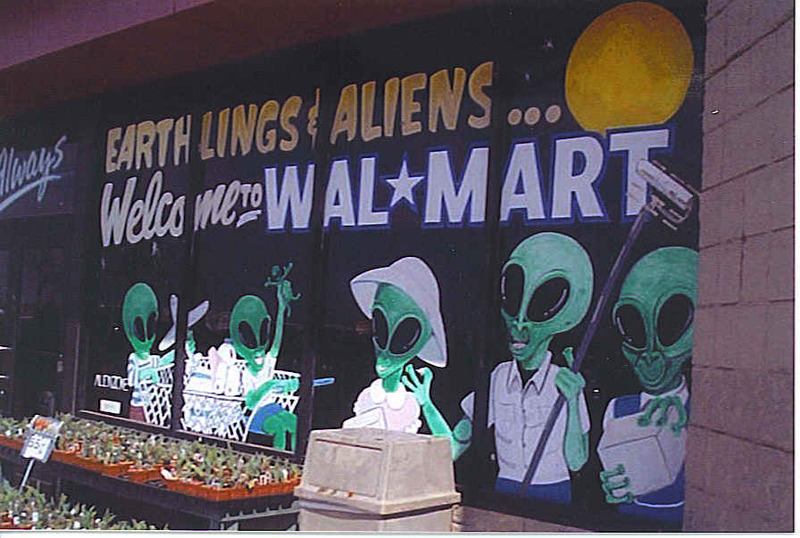 This was one of those unusual signs that you come across off the beaten path. Even attended a town meeting while visiting in the area. They were discussing their new grant for water for the small town. Currently, there is an old water tower but water is not really safe to drink. The new project will have a safe water supply and a better water volume available. After the meeting, nearly everyone in the town brought a covered dish and had delicious food as well as friendly town talk. Border patrol frequent the town driving through both day and night as well as covering the surrounding area. Most of the locals don’t even lock their doors at night as they feel well protected. This is the place to really get away from it all.